Hi to all. 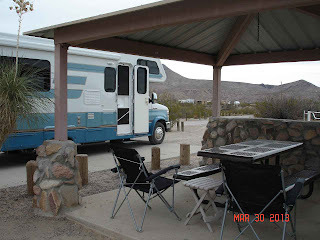 This post begins our new adventure in blogging. We thought this would allow everyone to follow us or not follow us as they wish. We were missing postings to a number of you who did not follow facebook. 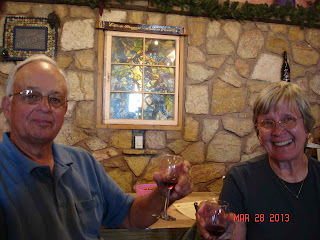 Our picture to the left is from St. Clair Winery in Deming, New Mexico. 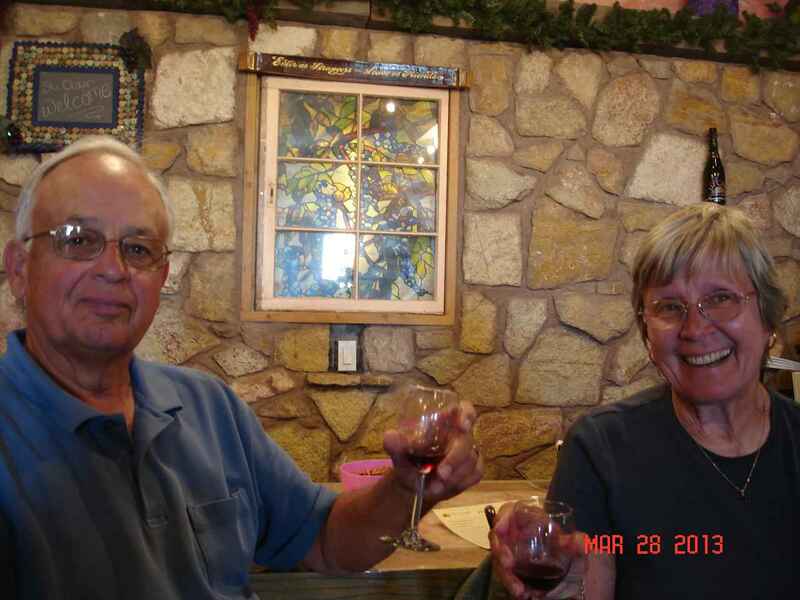 It was our first stop as members of Harvest Hosts. They have hundreds of farms across the US where we can stop free for one night--no hookups. 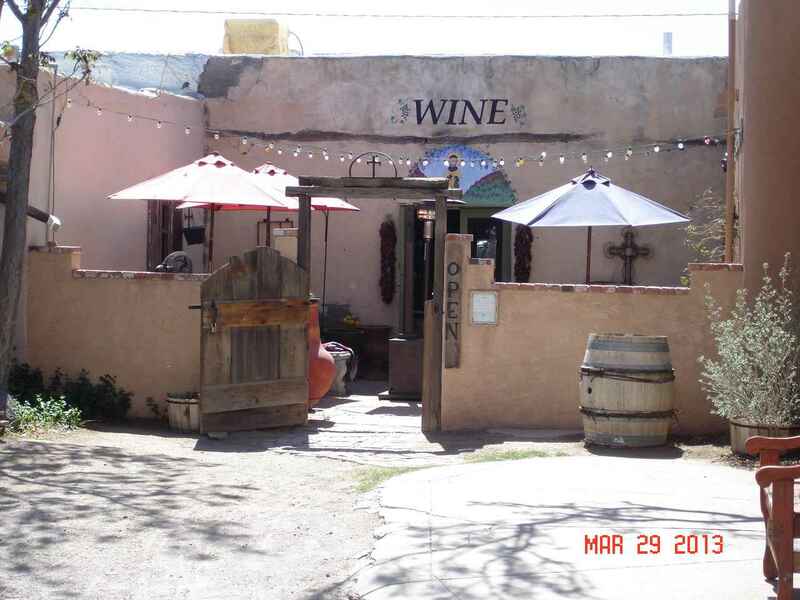 This was a tasting winery, but other spots will be vegetable farms, llama ranches, apple orchards, vineyards, dairy farms, and on. 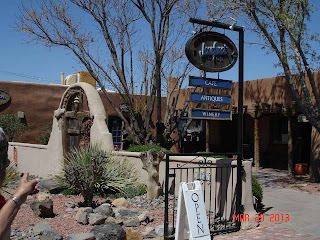 While in Las Cruces ( a bit further east on route 10), we visited an old village, Mesilla. Note the Southwest feel at this storefront. The Mesilla square. 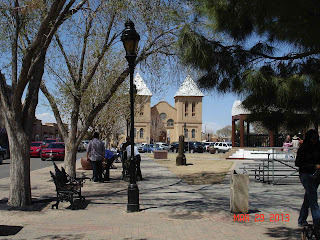 We wanted to go into the Catholic Church to see the stained glass windows, but there were Good Friday services. 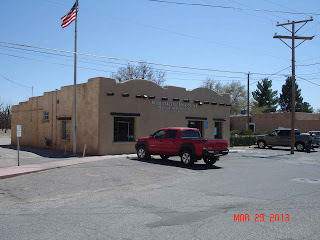 Even the Post Office has to follow the building code. This was a room inside a small antique store. 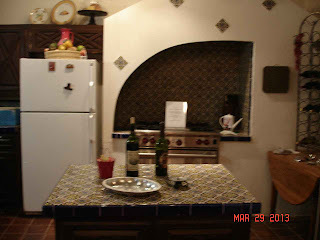 The display was to show Southwest kitchen ideas. 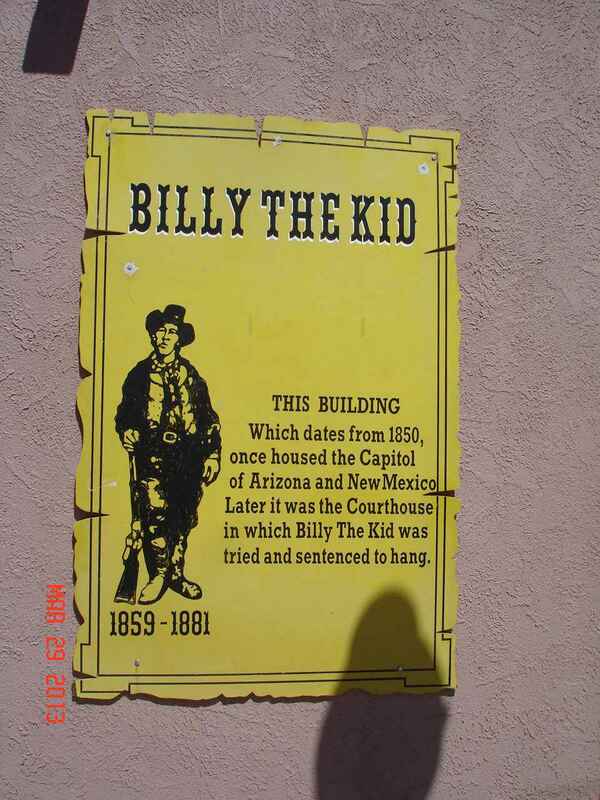 One of the buildings was where Billy the Kid was sentenced to hang. Of course, he escaped shortly after. Another business in Mesilla. 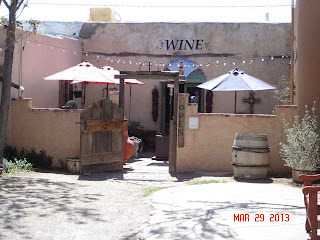 Note the wooden gates, wine or water barrel. At the entrance door are two large hangings of chiles. This is a chile growing area in New Mexico. While we were lunching at the St. Clair Bistro in Mesilla( yes, the same as the winery in Deming),this insect was visiting the hanging plant. 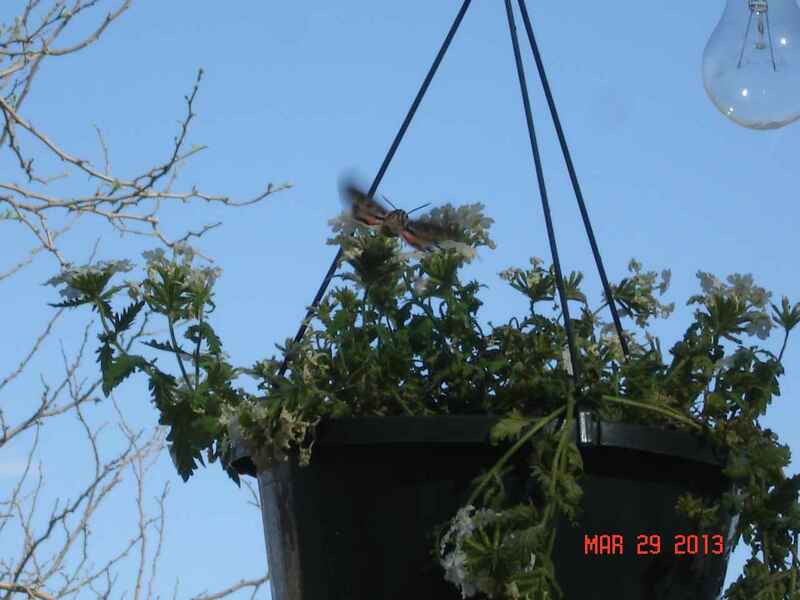 It was as big as a hummingbird with a very long tube in front for feeding. 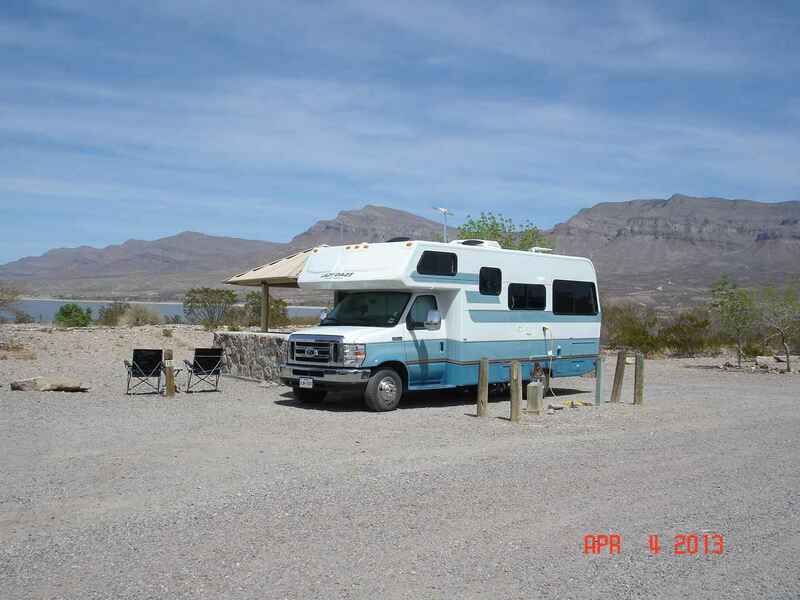 This picture shows our camping site at Leasburg Dam State Park in New Mexico. We purchased an Annual Camping Pass for New Mexico State Parks. It costs us $225.00 and is good for a year. Since a base spot with water is $10 per night, it will pay for itself in 22.5 days. We are already half way there and there are 30 state parks with camping. Remember, it is good for us until the end of March 2014. Pecan groves next to Leasburg State Park. 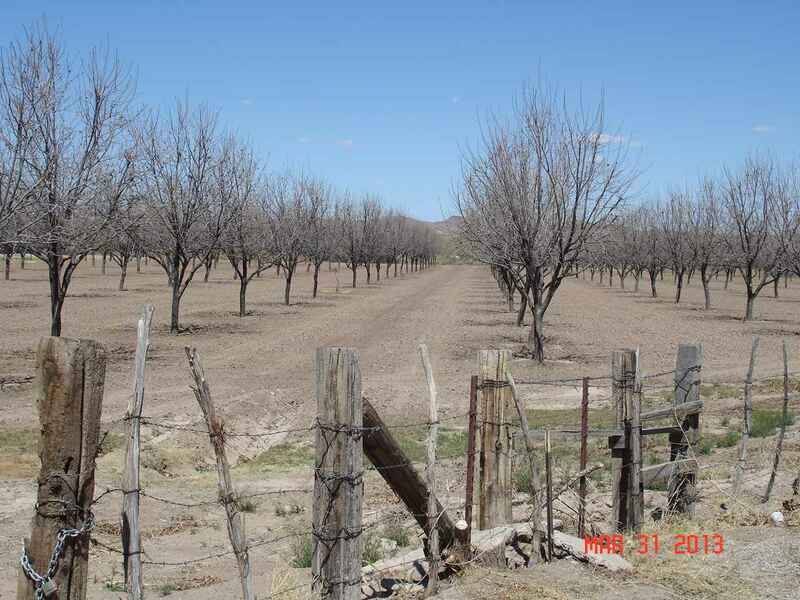 There are many, many acres of pecan and pistachio groves in New Mexico. 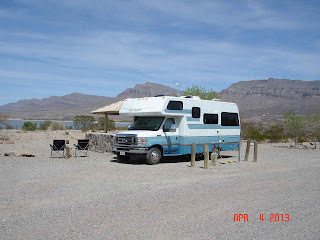 And this is our current spot at Caballo Lake State park in New Mexico. 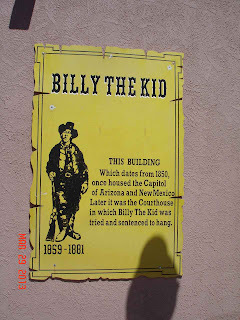 For those who are following the map, we headed east to Las Cruces and then we are headed north on Route 25 towards Truth or Consequences and Albuquerque. Caballo is the second largest lake in New Mexico. 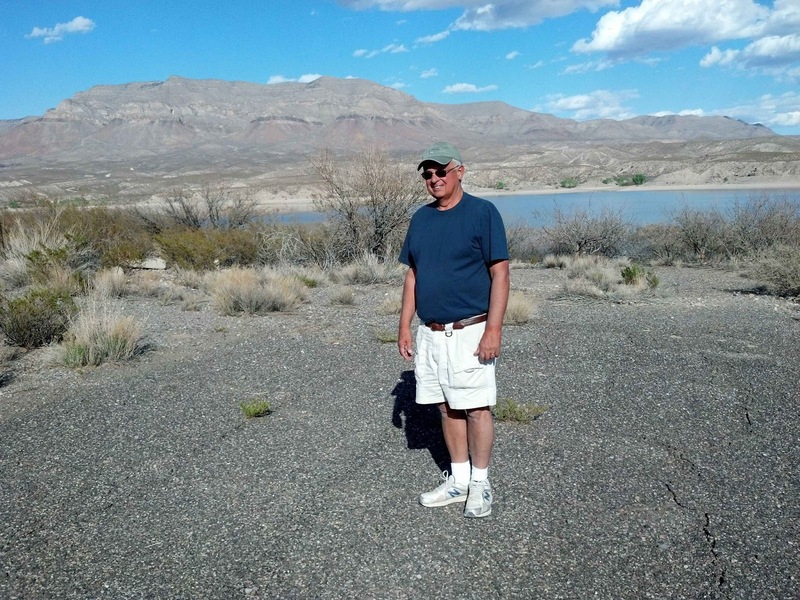 With the drought, the lake is down at least 15 feet. Route 25 follows the Rio Grande River north. The river is basically dry right now. 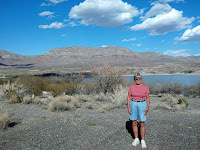 The large lake at Elephant Butte--our next stop --releases water for the farmers in the Spring. Usually in March, but not until June this year. Farmers are hurting. A view down to part of the lake and the mountains across. 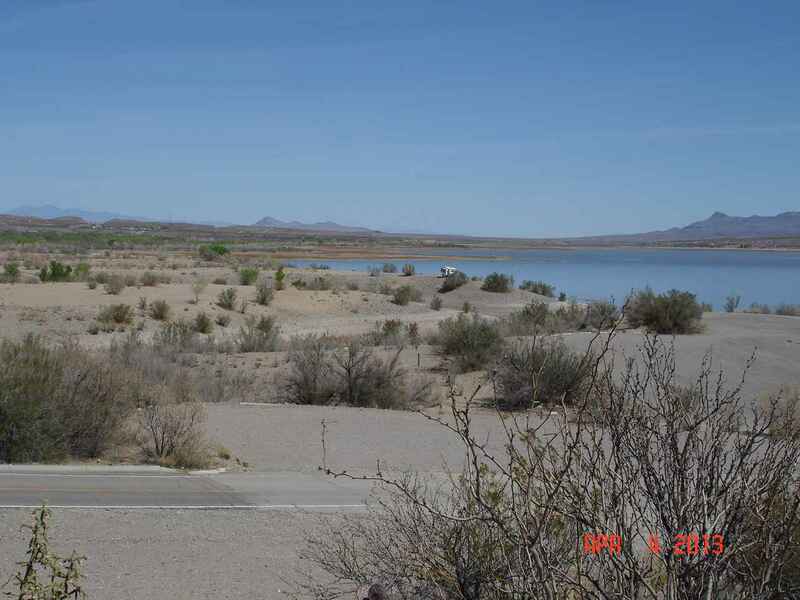 And lastly for this first posting is a view north on the lake. In the center of the picture, if you look closely, is a fifth wheel trailer that is staying in the primitive camping area. What a gorgeous spot!